By buying this product you can collect up to 59 loyalty points. Your cart will total 59 points that can be converted into a voucher of $2.95. 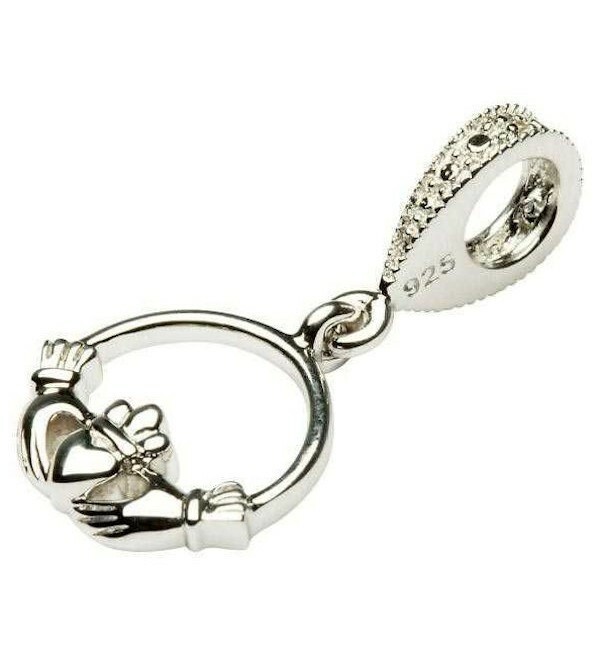 This gracefully designed dangle bead displays a classic Celtic Claddagh symbol crafted in a glistening Sterling Silver. 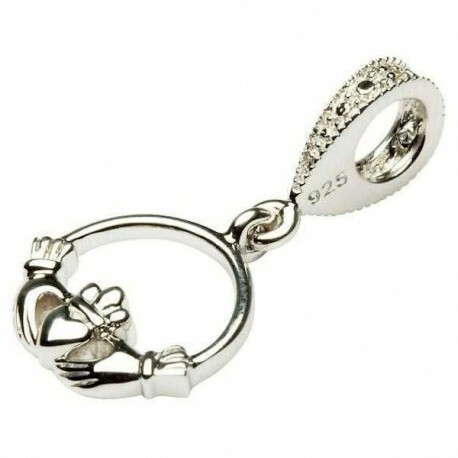 The Claddagh is encircled with a ring with two clasps attaching to a two diamond accent stone ring attacher that is compatible with most major brand charm bracelets. The Claddagh is the traditional Irish symbol for love and marriage. The hands of the Claddagh are thought to represent trust and friendship, the heart is, of course, the representation of love, while the crown stands for loyalty and fidelity. As seen in this design, the encircling of the Claddagh is meant to signify longevity in the aspects of the Claddagh.